Can you believe our showroom transformation? 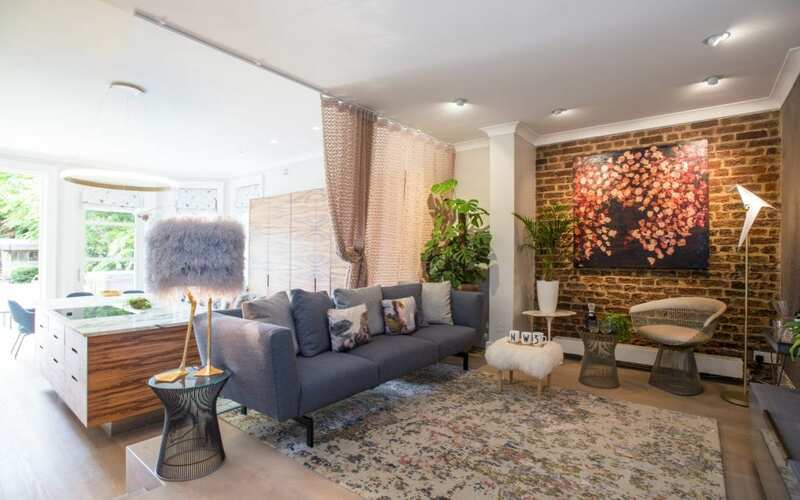 View our amazing before and after photos of the NW3 Interiors showroom! In the past couple of weeks you may have seen images of my beautiful showroom posted on our social media sites, which is part of my home based in Hampstead. However gorgeous it appears now I can assure you that it took a lot of love, dedication, interior design and decoration. It takes a perfect balance of colours and textures, adding specifications to the design tailored to my lifestyle requirements and adding finishing touches to make it a home. After many years of experience as an authorised Knoll dealer my home reflects my personal style and includes a range of iconic pieces from; B&B Italia, The Rug Company, Luke Irwin, Vitra, Fritz Hansen, Carl Hansen, Arte and Fromental wallpaper, local craftsman and artists – all of whom I proudly represent. I have become an expert at combining these collections and creating uniquely interesting and luxurious spaces that combine tastes as a designer and the practicalities of family life. You will never know the full potential of a space until you pour your heart and soul into it. That is what we strive for when designing projects at NW3 Interiors. This is clearly exhibited in the work I did on my own home, see the before and after images below. If you would like a tour of my home or you are welcome to a cup of coffee to discuss how I can help you transform and maximise your space then please contact us directly.